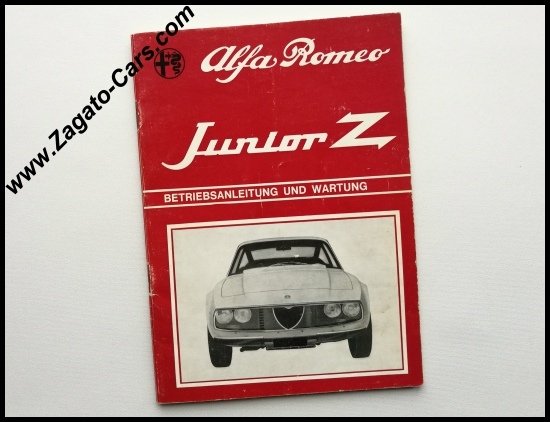 1971 Alfa Romeo Junior Z 1300 Zagato Owner's Manual in German language (Deutsch). 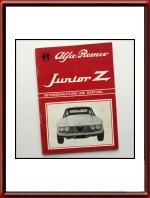 Vintage April 1971 owners manual for the Alfa Romeo 1300 Junior Zagato. It measures some 6 x 8 inches or 15 x 20 cm and counts 44 pages. Print reference: N. 1714 4/71 - 2000, printed by Arti Grafiche F.lli Brugora, Segrate Italy. 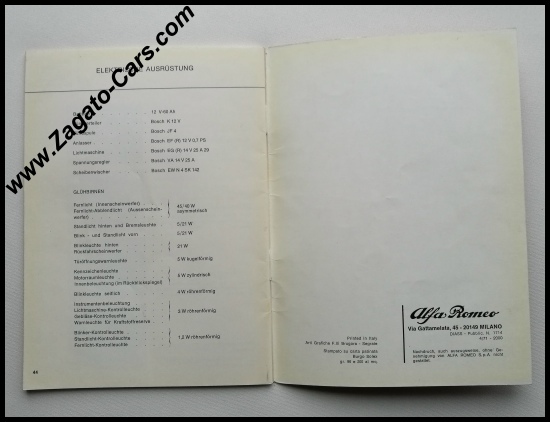 Alfa Romeo were pretty late with producing a proper owners manual for the important German export-market. 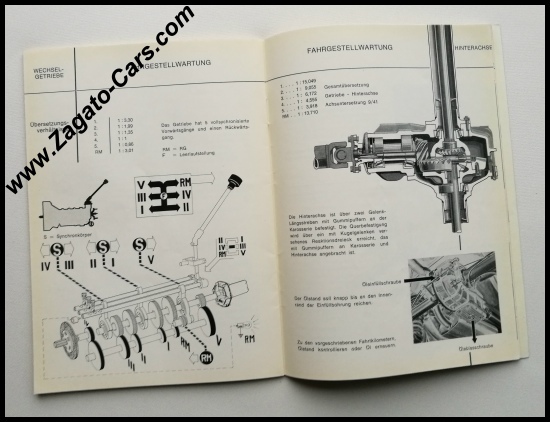 Finally in April 1971 they issued this version, which appears to be the one and only version in German. 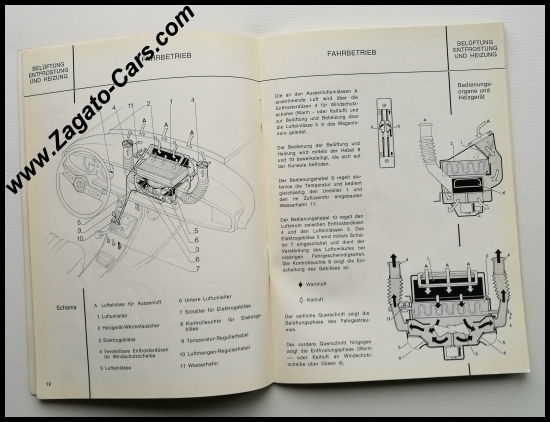 If my information is correct, the manuals were printed in one batch only and the bulk was sent to Alfa Romeo Germany to be distributed amongst the owners of cars that were already in circulation. Excellent condition for a paper document of its age. 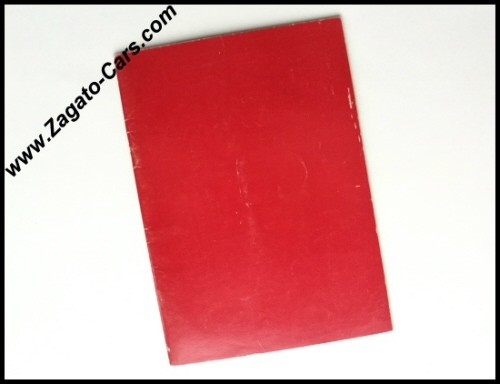 A MUST-HAVE for owners of cars that were originally delivered in Germany!